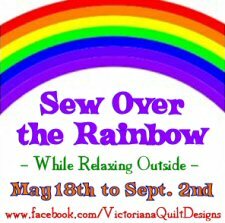 I've been enjoying stitching my Sew Over the Rainbow hexie project that I'm offering though my Victoriana Quilt Designs Facebook Page. It was simple, and can be made in whatever size hexie templates you have to work with. 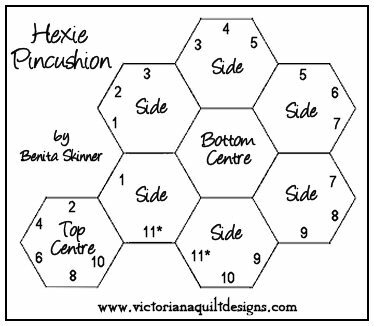 My hexagon punch had a smaller size hexagon (measurements shown in diagram), which I used for mine. 1. Prepare yourself 8 hexies, using the same method we are using for the Sew Over the Rainbow project - 6 for your sides, and one each for the top and bottom center. 2. Stitch them together as shown in the diagram. 3. Working with the right sides inside, stitch the edges together following the number plan (#1 to #10) in the diagram above. Fold the hexies in half when needed to help align the next edges. 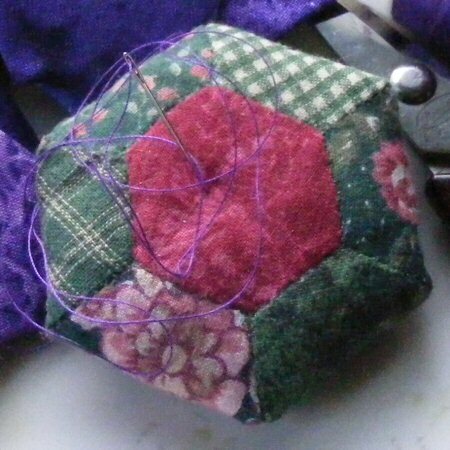 Remove the cardstock when your hexie has all the sides sewn. 4. When you get to 11*, remove all the remaining cardstocks, and carefully turn your pincushion right side out, gently pushing out the corners. 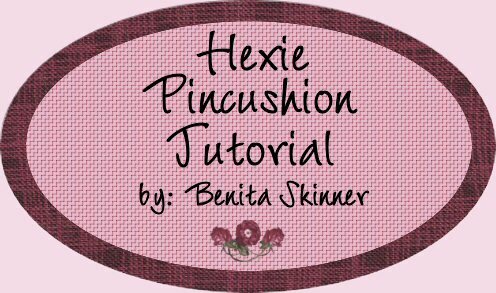 Carefully stuff the pincushion through the one remaining open side. Stuffing Tip: I cut up scrap cotton batting with pinking shears into small bits. When you feel it's stuffed as full as you like, blindstitch the final seam closed. 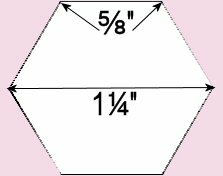 I invite you to visit my site here, and check out all of the quilt patterns, calculator charts, printables for quilters and graph paper. There is much for you to explore!